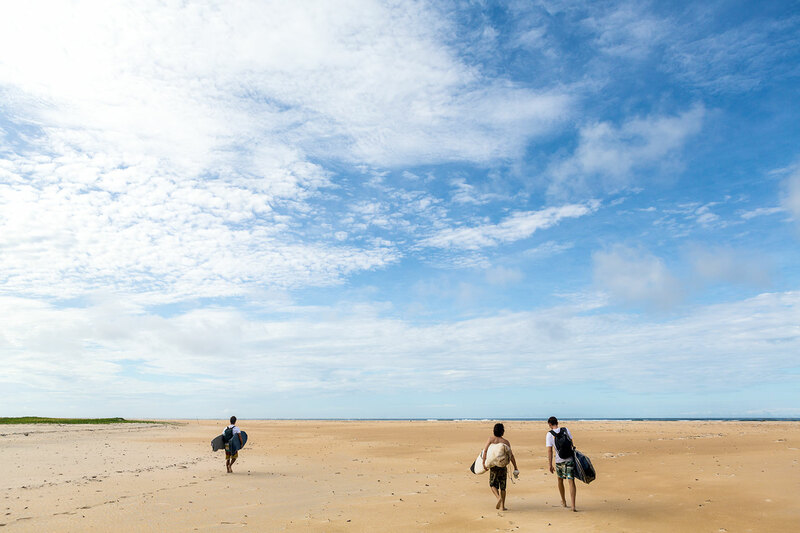 surfEXPLORE is an international adventure travel team led by photographer John Callahan and surf writers Erwan Simon, Emiliano Cataldi and Sam Bleakley. We specialise in researching and producing groundbreaking exploration projects to find and document new surfing waves, create the highest level of surf travel photography and writing, and convey environmental and cultural messages. The team speaks English, French, Italian and Spanish, and we maintain contributor relationships with more than 50 surf and travel publications worldwide in English, Español, Français, Italiano, Deutsch, Português (Brasil), 日本語 (Japanese), 中文(台灣) Chinese, Русский (Russian) and Bahasa Indonesian, ensuring worldwide awareness [in] multiple international publications of each surfEXPLORE expedition. When researching new destinations we tend to give priority to places that have a strong cultural context, places whose appeal goes beyond the perfect waves they might – or might not – have. The places and landscapes we visit and people we meet along the way have the leading roles in our travels, and we want to tell their stories. 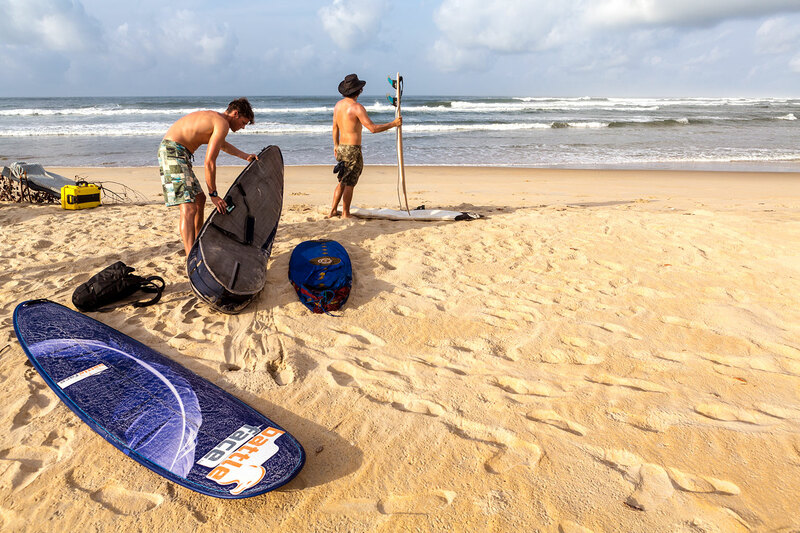 99% of editorial surf trips today are advertiser-driven photo shoots – they’re set up to promote products and the surfers who endorse them. Any picture perfect location would serve those well – all you need is blue water and half an hour of sunshine to get the job done. For us, most of the time getting to the waves is just the starting point. We are particularly interested in post conflict, or post environmental disaster locations, places misrepresented as ‘dangerous’, and places that therefore benefit from a positive celebration of their coastline, culture and potential for cultural tourism. Above all, surf travel is a fantastic way to be welcomed into a local community and get under the skin of places. 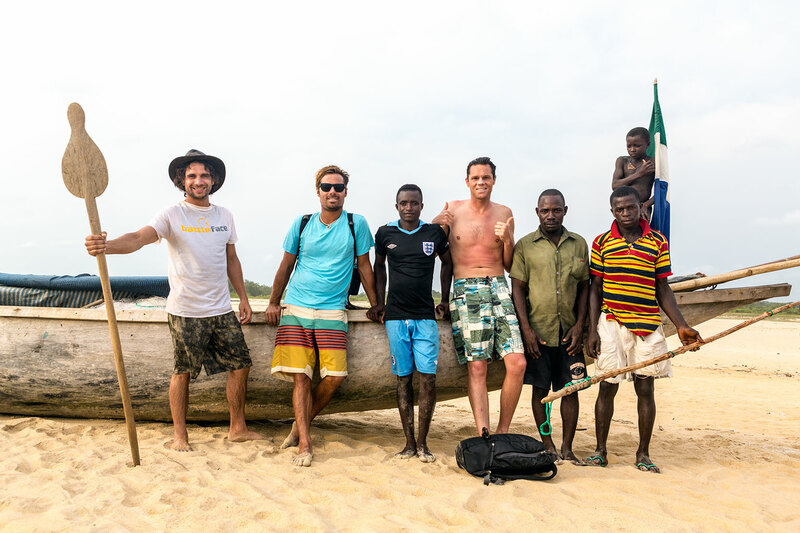 battleface is a proud sponsor of surfEXPLORE, providing funding and travel medical insurance for the organisation’s recent trip to Sierra Leone.